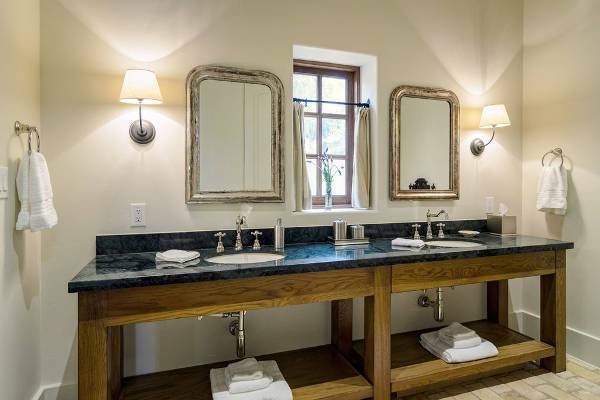 Bathroom vanity mirrors come in a great range of sizes, shapes and designs. You can choose a complex design with an intricate frame that will add style in your space. The shapes available can follow simple designs like round and orthogonal or they can have a creative one adding character. 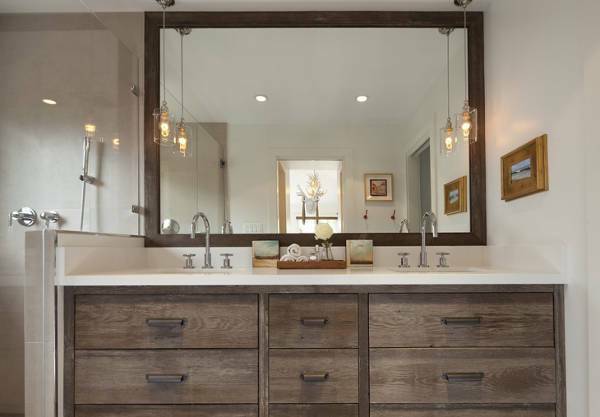 Reclaimed wood with visible water stains and grains can give you’re the most natural look of rustic style. You can find them in every shape possible ranging from round to square. Creative designs with antlers, old barrels and pallets can give you incredible ideas for diy projects in bathroom mirrors. 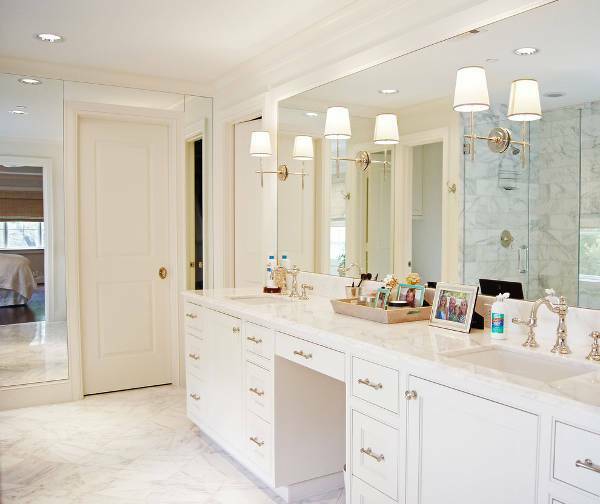 Oval mirrors can help you make your space look different. Depending on the alignment of the mirror you can achieve different results. If the longest length is positioned horizontally then the space will look wider whereas if it’s positioned vertically it will make it look taller that it currently is. 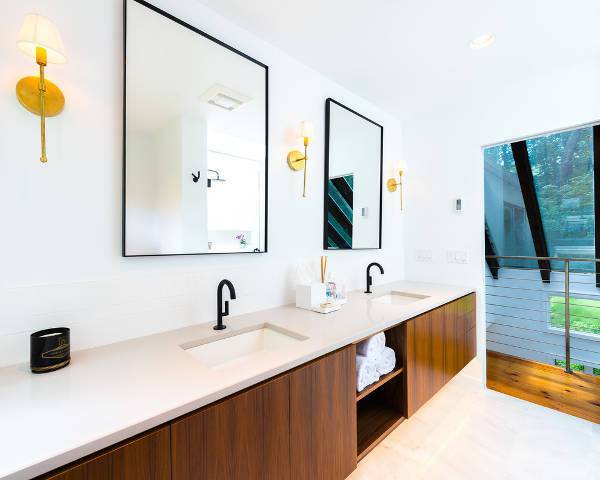 A wall mirror can make your space look larger and brighter. 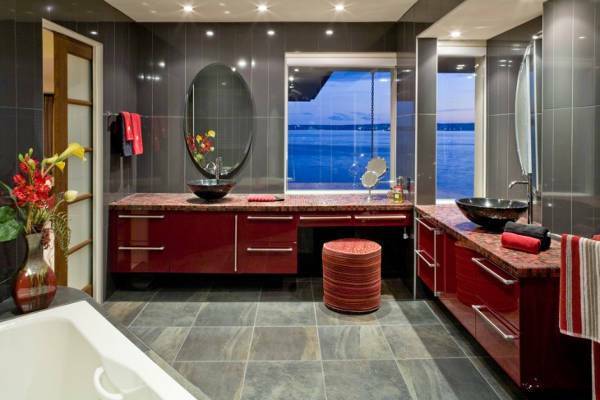 Most of these designs have no frame allowing the design to create a minimalistic atmosphere in your bathroom. 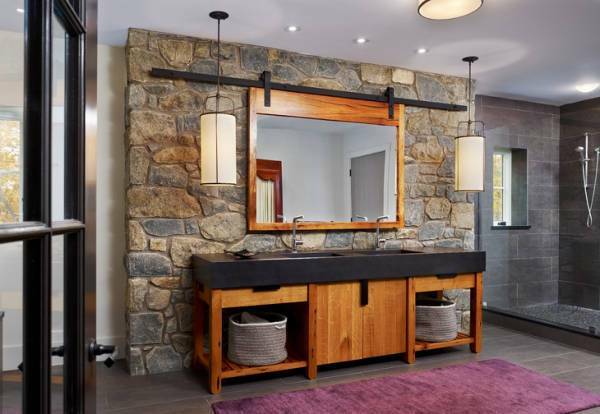 Moreover, with wall mirror designs you can style both a single and a double sink vanity bringing extra style in the space. 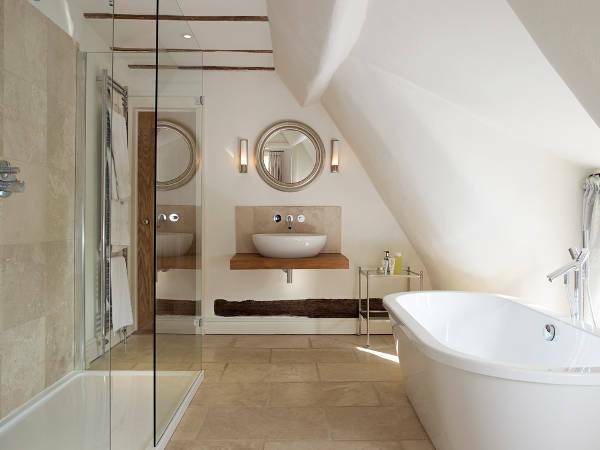 In case you want to create a mixture of shapes in your bathroom then a round mirror will help you get a stunning look. 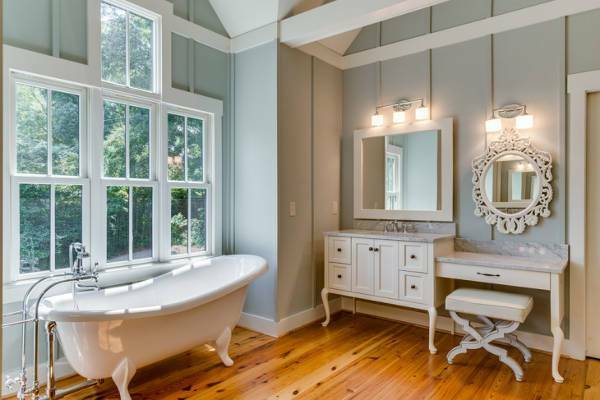 You can go for a large round mirror that will make your bathroom look brighter or your can choose a design with a complex mirror frame. 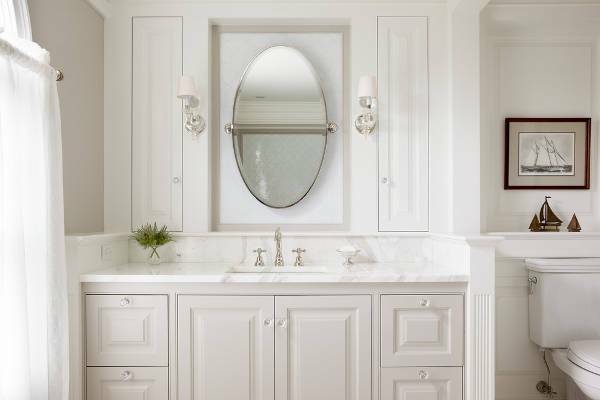 A vintage mirror can add old world elegance in your bathroom creating a graphic setting. There is a vast selection of designs that will help you find the right fit for your space. You can go for metallic frame with carved elements that create swirls and patterns for extra character. 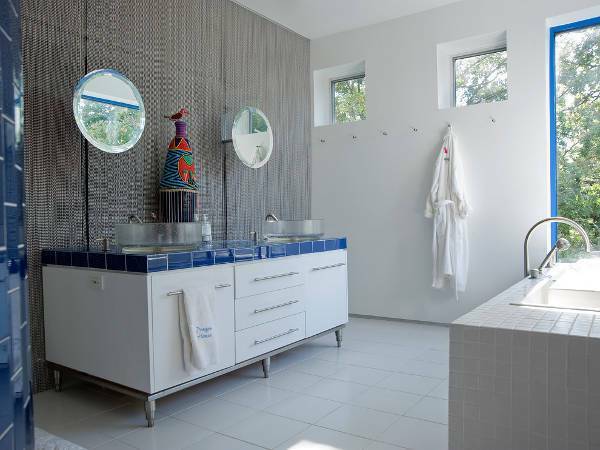 Corner mirror designs can be mesmerizing and stylish. 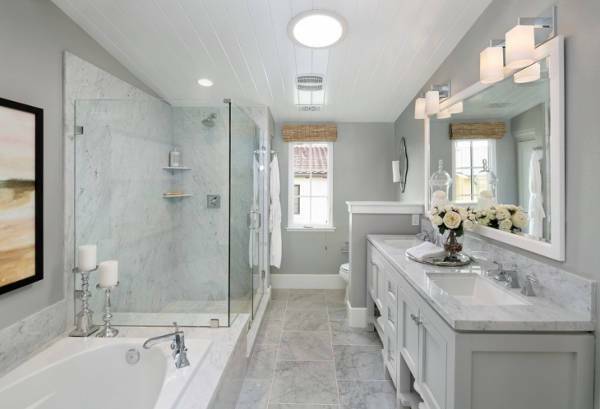 You can choose a design that has a bi-fold or tri-fold look that will give character in your bathroom. Additionally you can get a design that offers storage in order to take advantage of all the available space that the corner creates. 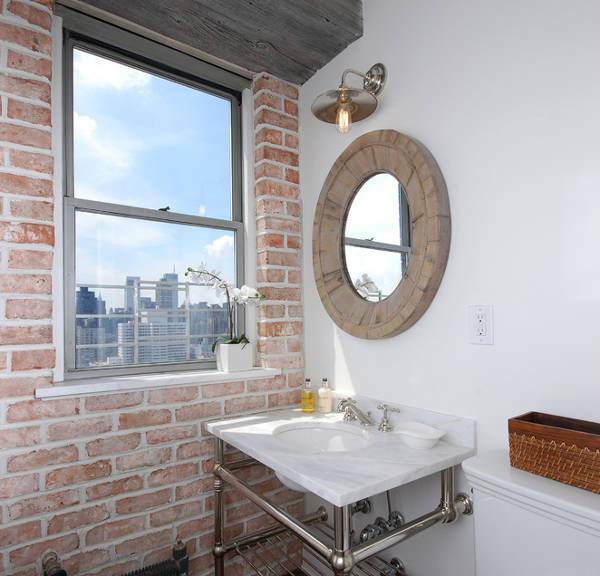 Create an industrial styled bathroom with a mirror that has a simple yet elegant metallic frame. You can go for any shape that appeals to your personal tastes while you can also go for a thick wooden frame to add an alternative version of the pure industrial design. 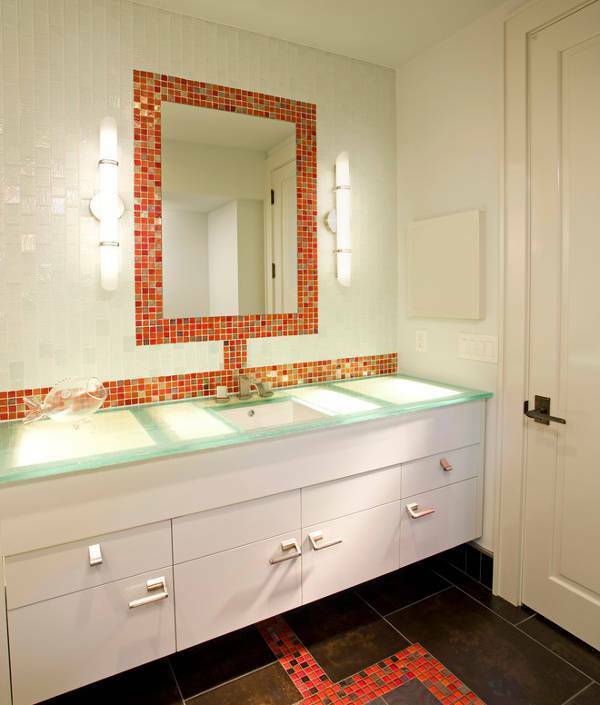 Incorporate tiles in your mirror design in order to achieve a stylish and colorful design. 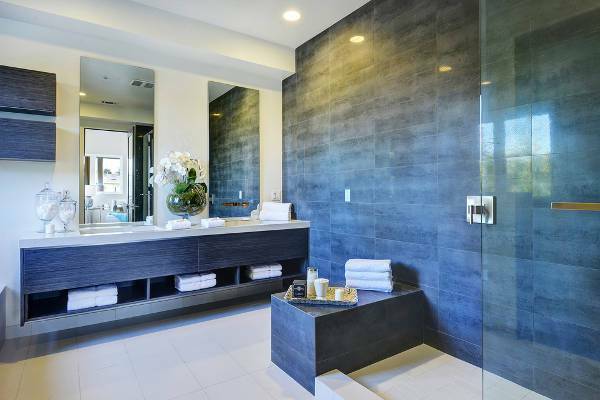 Create an interesting pattern with the tiles adding various materials like glass, ceramic and stone. 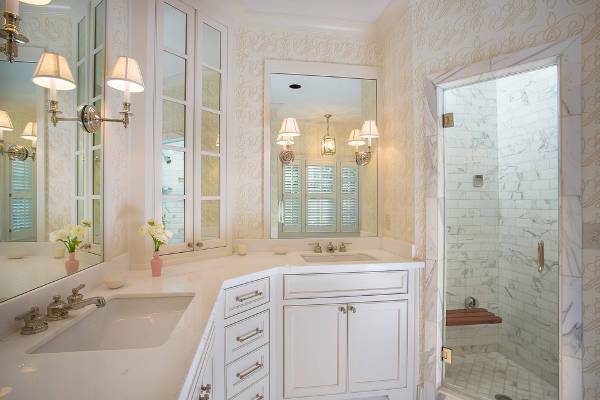 Alternatively you can get a tile design with pieces of mirror in small square shapes that will create a large piece. 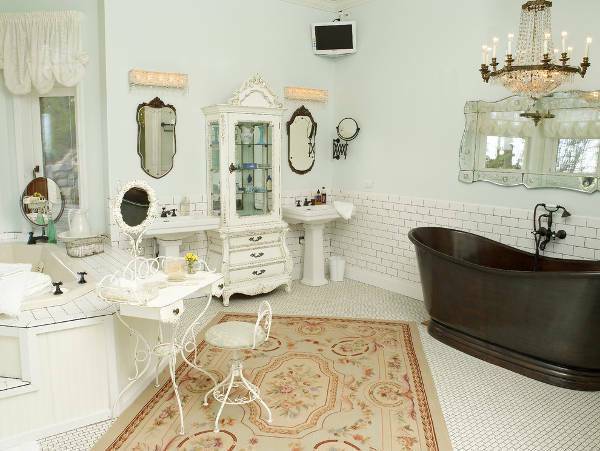 Square designs have a lavish look that can transform your bathroom with just the right frame. You can find many designs that feature materials like wood, metal and ceramic, bringing you incredible designs. You can also choose a basic square mirror in order to use for a creative diy project. 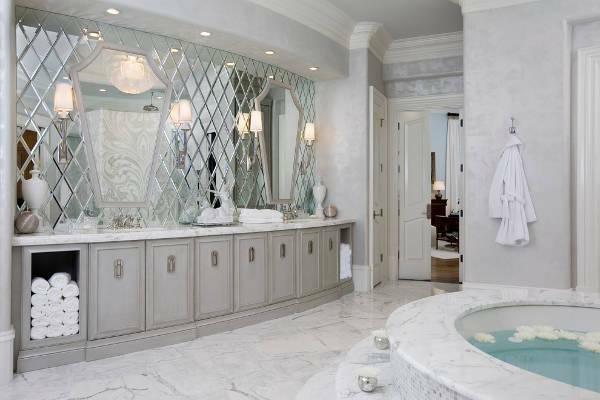 No matter what size or shape the mirror has, you can bring a sense of high class ambience in your bathroom just by choosing a stylish design. 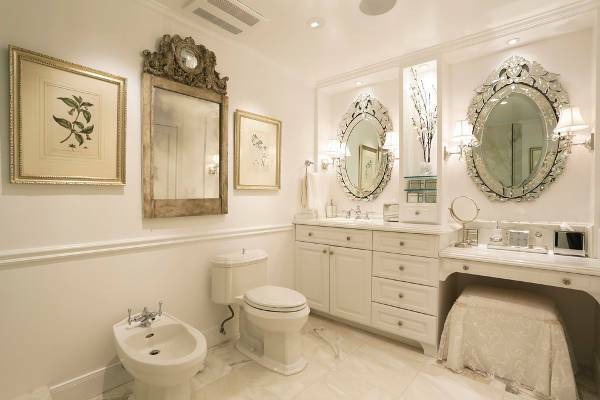 You can go for matching look with your bathroom designs or you can choose a statement piece to work as a focal point.